← And there’s even more Rosies! 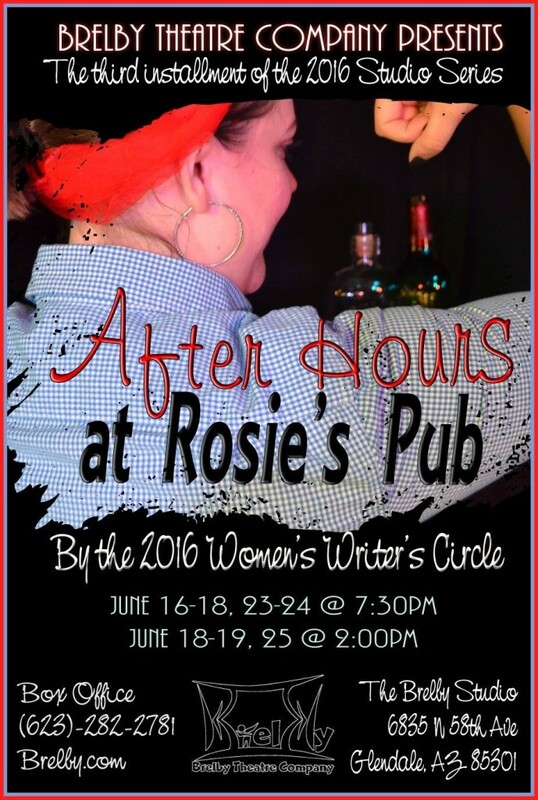 The only time I’ve ever found myself wanting to be in Glendale Arizona (not offense to the fine folks of Arizona, but it’s a bit too hot for me during most of the summer) is NOW … well June 16-18 or June 23-24 to catch a performance of “After Hours at Rosie’s Pub” at the Brelby Theater Company. After the lights have dimmed, and the early crowd has left the scene, Rosie’s Pub is frequented by a medley of female revolutionaries from throughout history. As they take the stage for an unconventional open mic night, they tell their stories through song, poetry, and narratives. Their individual histories weave together, and allow them to pose questions about today’s world. Its history like you’ve never heard it before, and these women have a lot to say. It sounds like a not only a fun show, but a good intro to a lot of historical woman.